We have spent a month or so staying in middle America: Kansas, Oklahoma, Arkansas and Missouri. Some of it was planned and some of it has been serendipitous. We have enjoyed spending precious time with family and friends in the Tulsa area and also getting some maintenance on the rig and truck done and a check up by our doctors completed. I guess that would come under maintenance as well. We found a few new spots to stay while in the area of Green Country Lakes. These were places that we had not known about when we lived in the area. We are finding that it is true that a familiar place looks much different when observed through the eyes of a visitor rather than a resident. We had a good time at Porum Landing near Eufaula Lake and relaxed at Heyburn Lake near Kellyville, We enjoyed our days in Branson and hope to return there again before heading West. Currently. 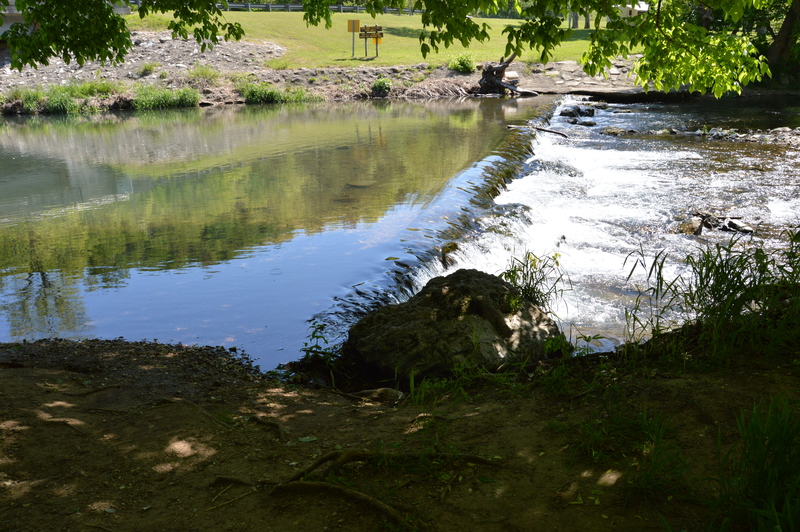 we are spending another few weeks at Roaring River State Park serving as a Camp Host. We will let you know how it goes. This is one of my favorite places on earth and I love coming back and remembering the good times of past visits as a park guest. So far, we have been impressed with the professionalism of the park staff and their helpfulness to each visitor that arrives in the park It should be fun to be on the inside of this beautiful place and to learn the in’s and out’s of how a campground should be run. We hope to fish a little when it is not too busy. We are located in the middle between two more seasoned camp hosting couples and hope to glean from them the experiences that they are willing to share. So far, this has been a pleasant experience. We are parked near the streams and can hear the water rushing over the small waterfall nearby. 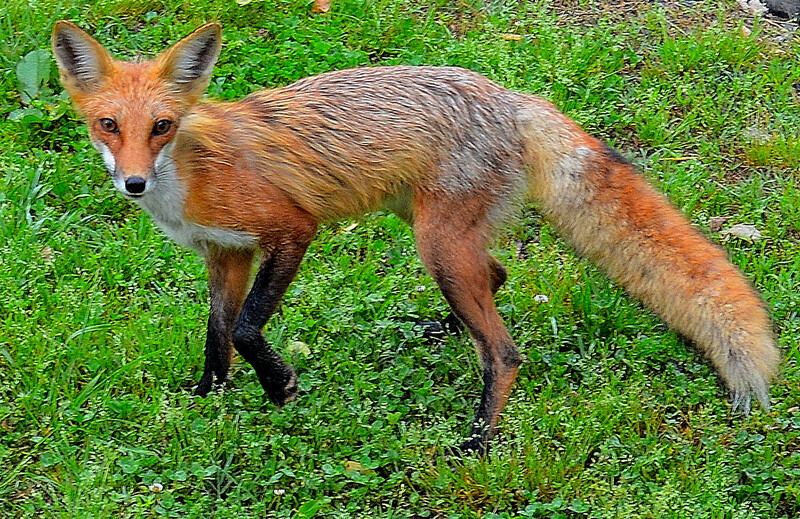 We are greeted most mornings by the red fox as he strolls through the campground on his way to the woods nearby. He and Pj have not been officially introduced and we hope to keep it that way.